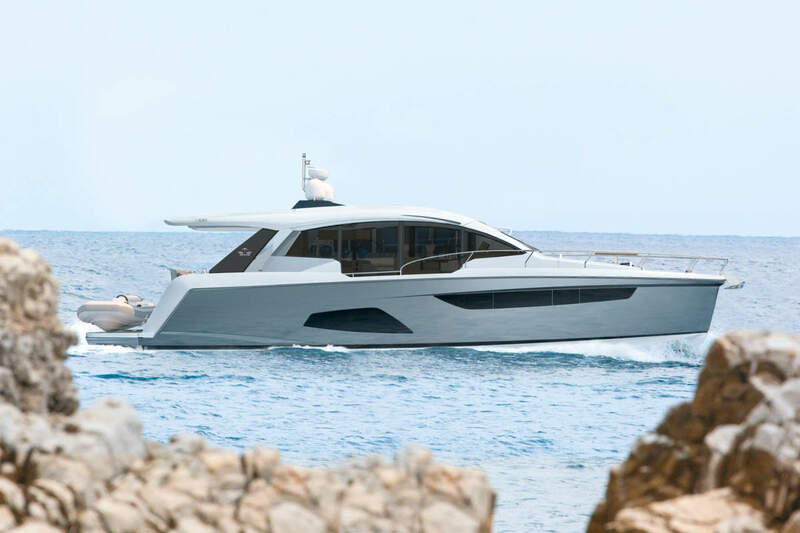 Italian boat builder Azimut Yachts has showcased the new Magellano 76, presented at Genoa International Boat Show. 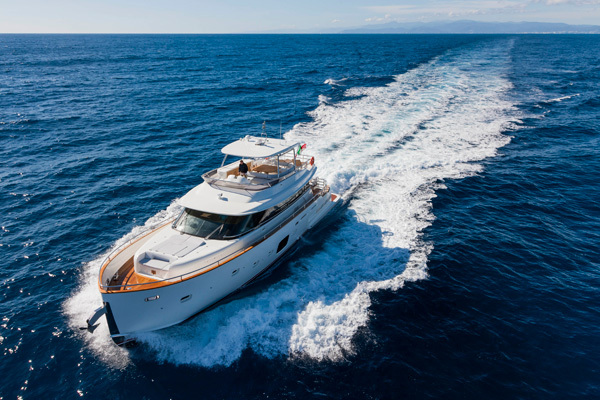 An evolution of the Magellano 74, the first model in the Collection of modern and sophisticated long range Azimut Yachts, which in 2009 wanted to once again renew the offer market. The design goals behind the Magellano models are autonomy, the maximum cruising comfort even at low speeds and the freedom to go at higher speeds when necessary. 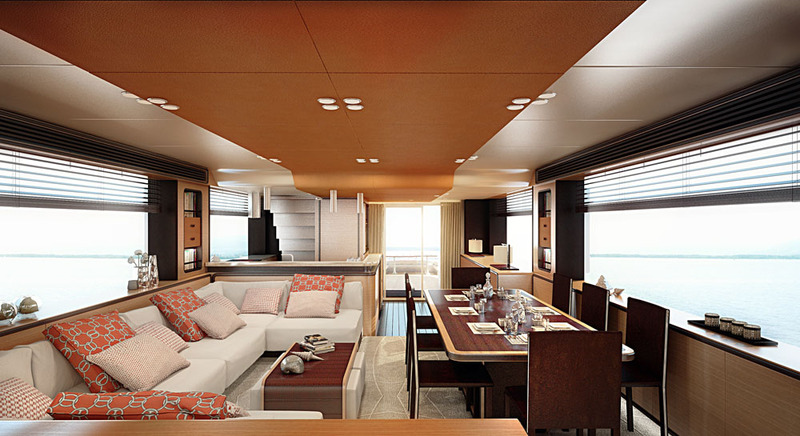 The Magellano 76, compared to the previous 74, becomes even more versatile in use of the spaces on board. It keeps the atmosphere warm and welcoming of a family boat and at the same time offers the possibility of having on board a large aft area with two crew cabins, galley and laundry area. The dual access from the aft deck and the galley located on the main deck ensures maximum privacy for the owner, guests and crew. 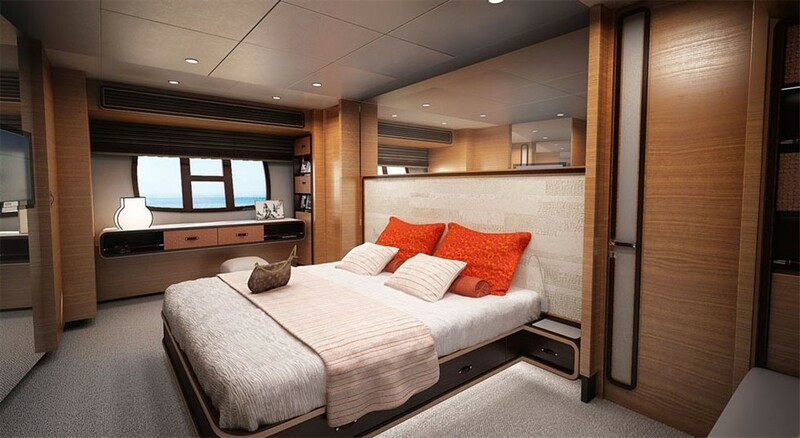 The layout of the lower deck made it possible to offer 4 cabins and 4 heads plus the possibility to change a guest cabin in an additional relaxation area directly accessible from the master suite. Externally, the fly bridge was extended aft by offering a larger surface area used as a sundeck, offering a full three feet longer than her predecessor’s, the Magellano 74. Meanwhile, an extended swim platform will be able to house, haul, and launch a tender up to 12 feet 6 inches. 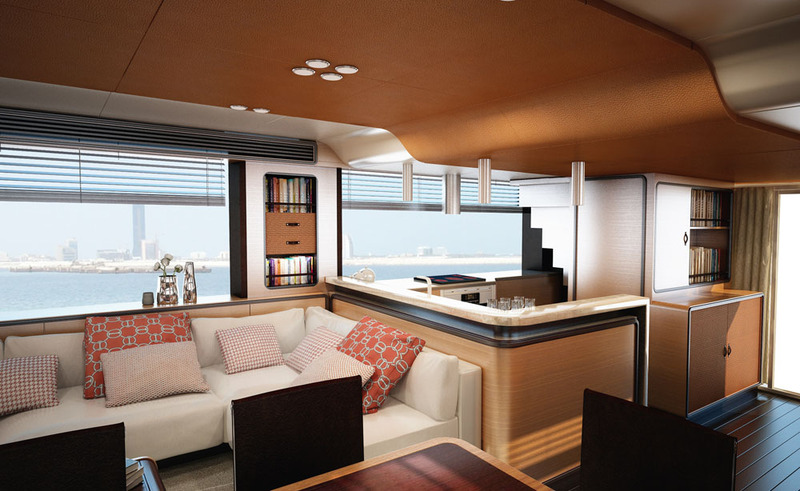 The 76 presents an interesting combination of old vs modern design features, there is a clear trawler influence wrapped in modern innovation making the Magellano 76 a very attractive package to those that enjoy the pleasures of long distance cruising.